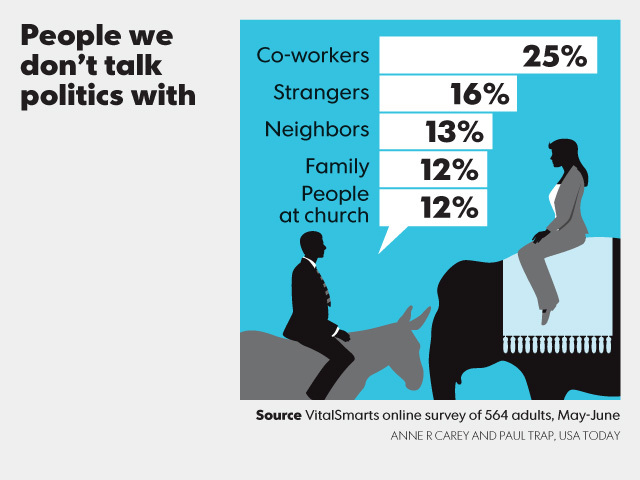 Research from our latest study on talking politics was recently published as a USA TODAY Snapshot. With nearly every discussion centered on the election this week, take a look to see who we avoid talking politics with the most. For more tips on talking politics effectively with your friends and families, read this Crucial Applications article.